ARC Improvements is a home improvement company based in Sicklerville, NJ. They provide roofing and siding installation and repair to South Jersey and it’s surrounding areas. They pride themselves on quality workmanship and provide free inspections and estimates to complement their services. Chevy Silverado Truck Wraps for Roofing and Siding Contractor! 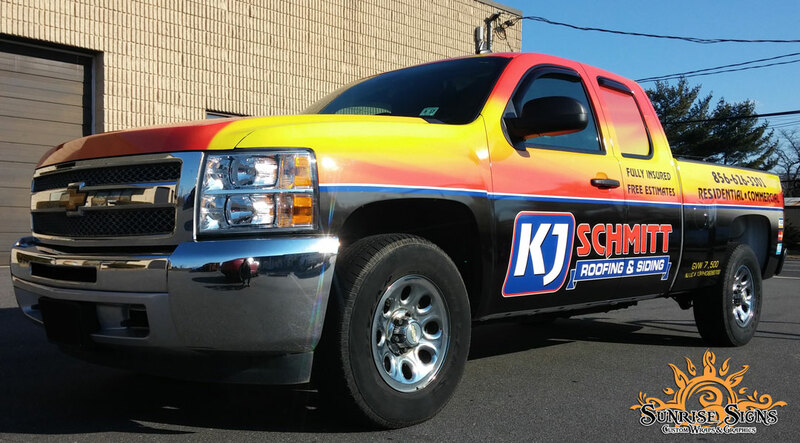 Driving a 2012 Chevy Silverado extended cab model work truck, the owner of KJ Schmitt Roofing & Siding is familiar with the advantages that mobile marketing brings to the table. 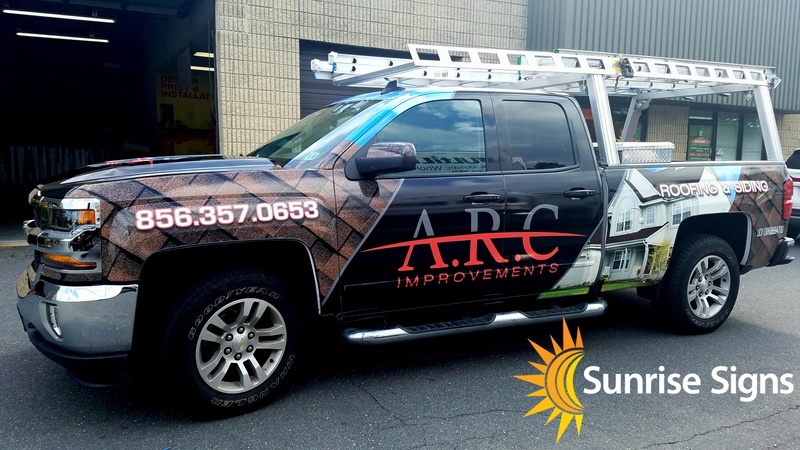 Companies that incorporate highly visible contractor vehicle wraps for Pine Hill, NJ, consumers to see succeed in building their name recognition and generate brand awareness among prospective customers. By positioning their brands in this manner, the clients will think of them first rather than flipping through ads when inviting bids.